In real life, the scene by the Metra tracks in Bronzeville couldn’t look much different. There’s no fountain, amphitheater or swimming pool, no sleek new bridge to connect the city and the lake; instead of the rows of trees there’s a mostly empty parking lot; and instead of the Olympic Village, there’s a thirty-seven-acre deconstruction site. All that remains of Michael Reese Hospital’s thirty buildings are a few ruined hulks, several as-yet-untouched buildings, and numerous piles of rubble with demolition vehicles posed victoriously overhead. 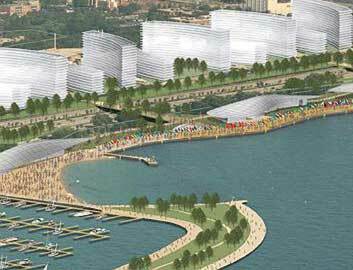 For three-and-a-half years, Mayor Daley and the Chicago 2016 bid committee promised the Olympics would transform the face of Chicago. Businesses, foundations, and philanthropists emptied their pockets, activist groups argued and protested, and aldermen even suggested adding a fifth star to Chicago’s flag if the city won the games, commemorating the Olympics alongside Fort Dearborn, the Great Chicago Fire and the world’s fairs of 1893 and 1933-4. Then last October the IOC made its decision, and the plans, hopes, and fears that had been approaching a fever pitch quickly disappeared. We’ll never know exactly what effect the games would have had, and even an unsuccessful bid leaves its mark. But the city has little to show for its years of Olympic fever at this point and the question is, will anything positive endure from this massive deployment of funds and civic energy? For a time last century, Michael Reese was Chicago’s biggest hospital, but by the time the city took it over last July the campus was mostly empty, with only a few patients left in the psychiatric ward. Born from the ashes of the Great Chicago Fire that destroyed its predecessor institution on the Near North Side, Michael Reese grew steadily until the 1940s, when it was faced with the same choice as other Bronzeville institutions like IIT and Mercy Hospital: abandon the overcrowded, blighted neighborhood for the suburbs, or try to improve it through a process that would come to be known as urban renewal. The institutions chose the latter, and Michael Reese embarked on a rapid expansion for which it hired famed Bauhaus architect Walter Gropius as a consultant and campus planner. Gropius’ original plan included “terraced over-passes” crossing the train tracks and Lake Shore Drive, and the Olympics could have brought that about at long last. Chicago’s first proposal would have constructed the Olympic Village using the air rights over the tracks, thus connecting Bronzeville and the hospital to the lake as Gropius intended. 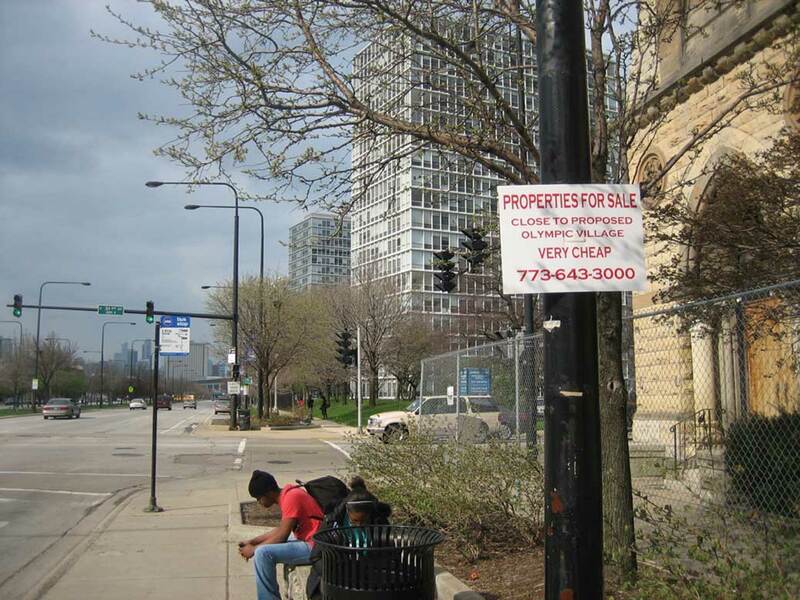 In 2007, however, the city decided that the air rights plan was too expensive and the Michael Reese site would be better integrated into the neighborhood, in particular once the games were gone and the Village was converted into mixed-income housing. When it became clear that the new plan would mean the demolition of most or all of Michael Reese, local preservationists, led by architect Grahm Balkany, formed the Gropius in Chicago Coalition in an attempt to save the architect’s work. Gropius was always known to have worked as a consultant on the Michael Reese campus, but while researching a book Balkany found evidence that Gropius actually had a hand in designing eight of the campus’ thirty buildings. 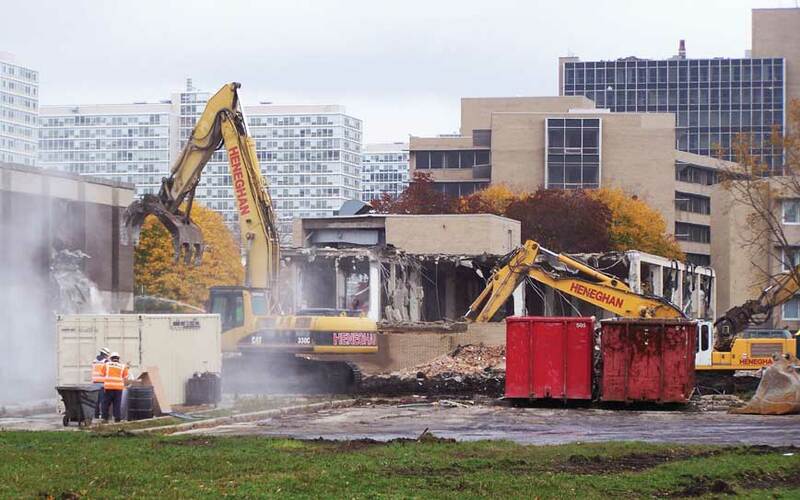 In a unanimous vote last December, the Illinois Historic Sites Advisory Council supported Balkany’s conclusions and recommended the site be added to the National Register of Historic Places, but to no avail; the demolition had already begun, and it has continued at a steady pace since then. Only two buildings, including one by Gropius, are slated to be spared, and even their fate is uncertain in the long run. No one seems to know for sure what will eventually rise from the rubble, and the city has yet to issue a request for proposals. Meanwhile, there’s been no shortage of ideas. Shortly after the loss of the Olympics last October, Ald. Richard Mell (33rd) and Ald. George Cardenas (12th) suggested a casino for the site, an idea Mayor Daley quickly shot down. Ald. Toni Preckwinkle (4th), whose ward includes the hospital site, has floated a number of ideas, including a high school, Barack Obama’s presidential library and an entertainment district aimed at McCormick Place next door. Meanwhile, a few blocks west at IIT, Professor Mark Snyder is making use of the nearly blank slate of the Michael Reese campus as an educational tool for an interdisciplinary class he’s teaching. His students are broken into two teams, each of which spends the semester developing a plan for a mixed-use development on the former hospital site anchored around a particular use. One team has chosen to center their plan around a continuing care retirement community, while the other team is planning a ten-story vertical farm on top of a Whole Foods. One of the recipients of the Fund’s first round of grants was the Local Initiatives Support Corporation/Chicago (LISC/Chicago), which used the money to found Neighborhood Sports Chicago (NSC), an organization that brings youth athletic programs to neglected neighborhoods. Last April, NSC ran Spring Into Sports, a weeklong tournament in which more than 1500 middle and high school students competed. Although NSC didn’t have the money to run the tournament again this year, Crane High School, the host of last year’s citywide finals, decided to hold their own smaller-scale tournament earlier this month with 220 kids from eight Chicago Housing Authority sites. In addition to Spring Into Sports, NSC also sponsored a weeklong sports camp last spring in Washington Park, the intended site of the Olympic Stadium. Cecilia Butler, president of the Washington Park Advisory Council (WPAC), counts the camp as only one of the many benefits the Olympic bid and the attendant media spotlight brought to the huge South Side park and the adjacent neighborhood of the same name. Others she lists include a new Washington Park Chamber of Commerce and an internet-equipped computer center in the park’s fieldhouse, and she’s confident there would have been more if Chicago had gotten the games. With that question in mind, Butler and the WPAC organized a community meeting that came up with a list of demands, later whittled down to a twenty-six-point program that Butler presented to Chicago 2016 CEO Patrick Ryan. The points ranged from representation on the bid committee to free and reduced-price tickets to the 2016 games for community members. Although not all of the community’s demands were fulfilled, Butler says “a lot of them” were. The bid’s legacy in Washington Park also includes personal connections and partnerships that grew out of community advocacy. 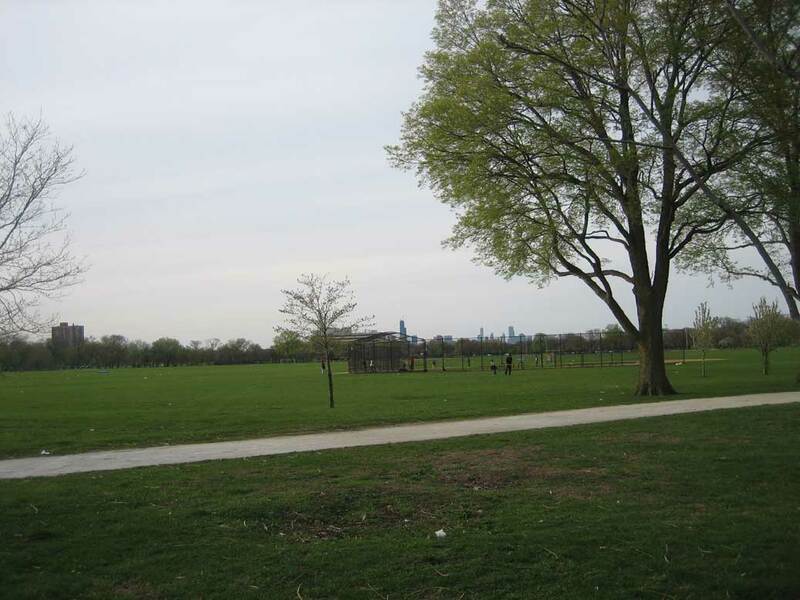 Arnold Kasemsarn, a consultant based on the North Side, heard about the 2016 Fund for Chicago Neighborhoods’ community development grants when they were first announced in 2008. He contacted the Chicago Community Trust, one of the Fund’s main contributors, to see if they had an organization in mind, and they referred him to Butler. He started volunteering and soon became a member of the Washington Park Olympic Coalition, a task force Butler created, helping out with the proposal that brought the computer room to the park’s fieldhouse, among other things. The Olympic bid is over, but Kasemsarn’s involvement in the Washington Park community hasn’t ended. 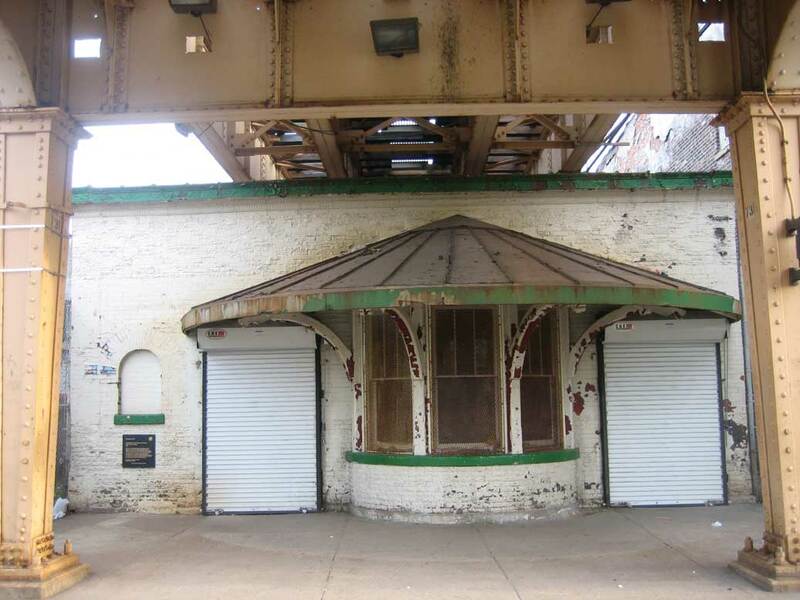 He’s now working with Butler and a University of Chicago student, Katharine Bierce, on a project to fix up the historic and currently unused CTA station across the street from the modern Garfield Green Line stop. Built in 1892 in preparation for the 1893 World’s Columbian Exposition, the old station has sat decaying and unused since 2001, but Butler, Kasemsarn and Bierce want to turn it into a wi-fi café, visitor center and community reading room with books and periodicals—Washington Park currently has no public library. Butler says the CTA has been receptive to the idea and is waiting to see a business plan. Chicago 2016 is no more, and its designated successor, World Sport Chicago, describes itself as “the living legacy of the Chicago 2016 Olympic and Paralympic bid.” Founded three years ago and funded with at least $13 million of the bid committee’s money, WSC’s programs include college scholarships for high-school athletes, coach recruitment and an “International Sport Exchange” travel-abroad program. WSC may have inherited the bid’s funding and much of its personnel, but it certainly can’t claim to be the bid’s only “living legacy.” Chicago’s three-and-a-half year Olympic courtship has left traces all over the city, from the $77 million in private donations to Chicago 2016 that didn’t go to other causes, to the five new computers in the Washington Park fieldhouse, to the giant piles of rubble that litter the former Michael Reese Hospital grounds. Something new will rise from those ruins, but it may be years before we know what.